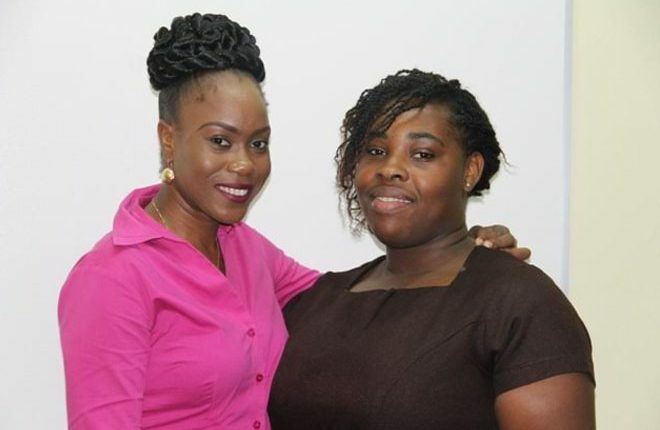 NIA — Oresia Stapleton and Yolinda Liburd join the list of students who benefit from the Medical University of the Americas/Nevis Island Administration (MUA/NIA) Scholarship, a facility which is available since 1998. 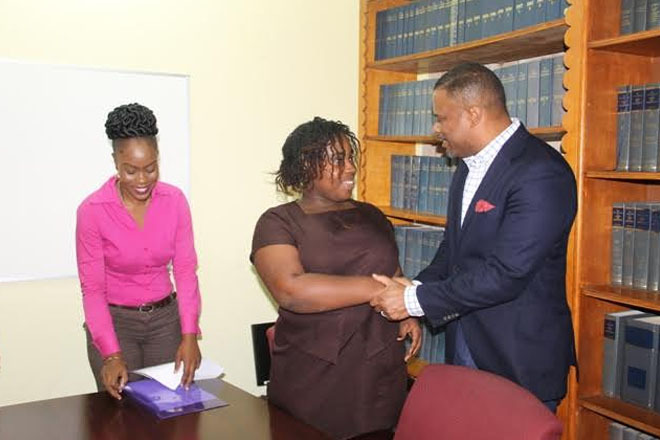 They were announced as the annual scholarship’s awardees for 2017 by Mrs. Nicole Slack-Liburd, Chairperson for the MUA/NIA Scholarship Committee and Permanent Secretary in the Ministry of Health at the Legal Department’s conference room on July 05, 2017. Stapleton will be pursuing Bachelors of Science Degree in Pre Radiologic Technology at the Midwestern State University in Texas. Liburd will be pursuing a Bachelor of Science Degree in Biochemistry at the University of the West Indies in Jamaica. In response, the recipients spoke of what the opportunity meant to them and thanked their benefactors. “Benefactors like you make dreams become a reality. I am proud to say that my dreams are slowly unfolding and I am excited to begin a new career journey… Sincere thanks for enabling this opportunity. Your generosity truly makes an immeasurable difference in the advancement of my career path,” Stapleton said. Liburd, meantime, thanked God for what she described as a life-changing opportunity and expressed gratitude for the opportunity. “Words cannot express how grateful I am…After I have completed my tertiary education in Biochemistry, I will then further with a Masters in Forensic Science. The experiences gained will be used to benefit me and improve my development and my little island. “I cannot stress how grateful I am for being granted this scholarship which has lightened my financial burden immensely,” she said. Hon. Mark Brantley, Deputy Premier of Nevis and Minister of Health, who was present at the ceremony, commended the recipients and offered them words of advice regarding their overseas studies. “I ask that you would simply have your wits about you and that you pay attention and that I think you are both talented enough to not only maintain a 3.0 but to do much better than that. So I encourage both of you. I congratulate both of you,” he said. Mr. Brantley also told Stapleton and Liburd that the scholarship is an important privilege that they should not take for granted. He urged them to work hard to make themselves, their parents and the island of Nevis proud. The scholarships stem from a partnership with the NIA and the MUA since 1998 for the provision of up to US$22,500 per annum for study opportunities in priority areas that are the needs of St. Kitts and Nevis. Committee member of the MUA/NIA Scholarship Committee Mrs. Shelisa Martin-Clarke was also present. 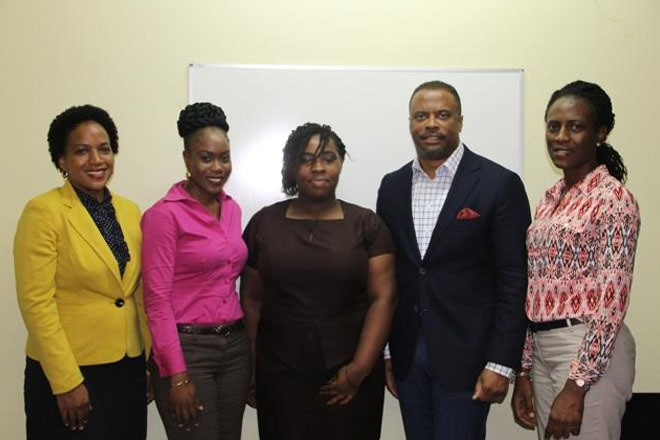 The other members of the Committee are Ms. Ornette Herbert, Acting Permanent Secretary in Human Resources, Mrs. Palsey Wilkin, Principal Education Officer, Mr. Kevin Barrett, Permanent Secretary in the Ministry of Education, Mr. Ron Daniel, Youth Representative and Ms. Keisha Jones, Private Sector Representative.